Where’s your wife, Thorwald? She wouldn’t leave her wedding ring and her favorite purse behind. 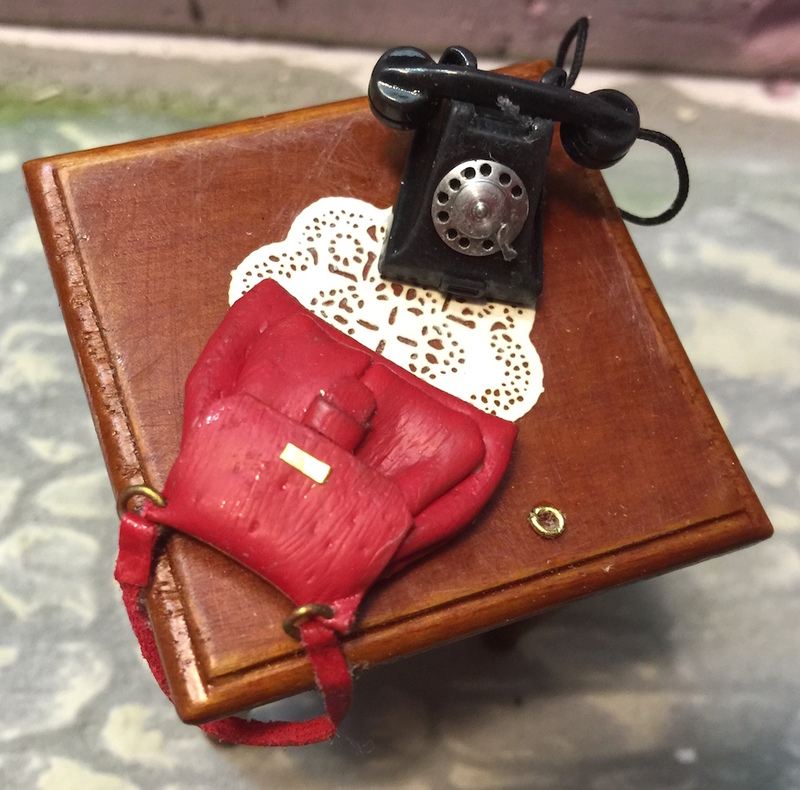 Props can help tell the story of a miniature scene by showing that someone had been there. Miniaturists often use props and other signs of human behavior (I call it “the fallout”) instead of figures.